Report by Basant Rath, Nabarangpur: Even as Odisha is still fighting against Chhattisgarh to get a legitimate water share from the Mahanadi, the neighbouring State seems to have hatched another conspiracy by undertaking a mega project on the Tel river only to deprive several districts of Odisha of water. OPCC working President and Former Lok sabha member Pradeep Majhi, writes letter to Chief minister Naveen Patnaik, requesting to immediate action against illegal construction of barrages over Tel and Barahi rivers. In a press conference here he said that the Chhattisgarh Government has undertaken a mega irrigation project under which several barrages are being constructed on the Tel river to irrigate over 15oo acre agricultural land. The project is on the confluence point of the Tel and Barahi rivers, just 500 metre away from Khaparadihi village under Chandahandi block in Nabarangpur district. Majhi alleges that the Nabarangpur district administration was unaware of the devopment of the project till recently, despite the neighbouring Government has sanctioned Rs 18 crore in the first phase and assigned the work to a private construction firm, Amit Construction’ of Chhattisgarh. Majhi also said a team of district congress visited the spot and saw that the concrete wall is in progress and a skilled technical team equipped with advanced technology has been deployed for the construction of the project. 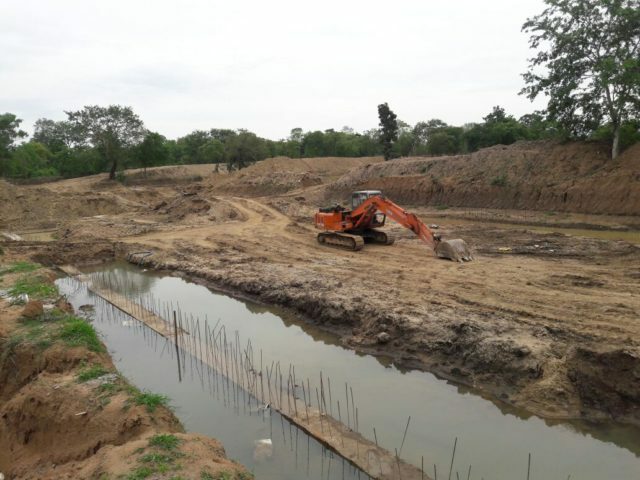 The purpose behind the project is to obstruct the Tel and Barahi river water and use the water for irrigation in Chhattisgarh villages, said a report quoting Amit Construction in-charge LP Chaturbedi. Sources said that Chhattisgarh had planned the project many years ago to provide irrigation to 1500 hectares of land in 30 villages under Deobhog block in the State. Once the project completed, would stop flow of water and put thousands of people in trouble in Khaparadihi mouza under the Chandahandi block. Besides, many villages of the block would be marooned, Majhi said. The Tel river, a tributary of the Mahanadi, flows though Nabarangpur, Kalahandi, Balangir and Subarnapur districts in Odisha. 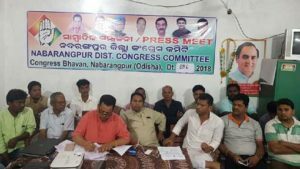 Congress District President Muna Tripathy, said illegal construction of dams and barrages over Mahanadi and Tel rivers went on unabated dueto the BJD regimes inaction, he warned the Congress will protest Illegal construction of barrage on the confluence point of the Tel and Barahi rivers.